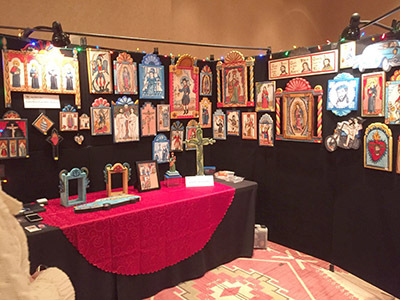 ALBUQUERQUE – The Spanish Colonial Arts Society’s Winter Spanish Market returns to Albuquerque for the fifth successive year on Dec. 2 and Dec. 3. 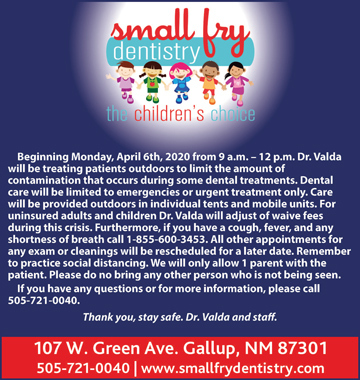 This year the NHCC campus will host the event. 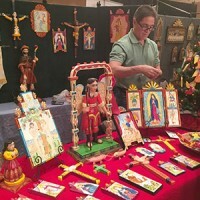 Founded in Santa Fe in 1988, this will be the Winter Market’s 29th year since it emerged as an offshoot from the original Spanish Market, which takes place in Santa Fe every summer. 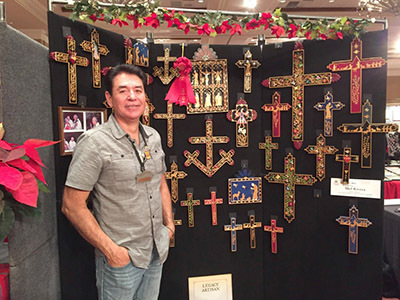 This year’s Winter Market will bring 70 artists to Albuquerque, giving members of the general public and collectors alike an opportunity to make early holiday purchases while keeping away from the big box store madness after Thanksgiving. 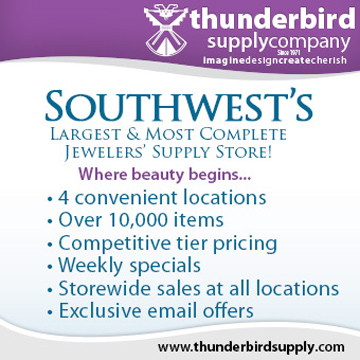 This event shoppers the opportunity to buy a piece of New Mexico history, as the traditional techniques and imagery that Spanish Market Artists use link them directly in a lineage and tradition that goes back over 400 years. 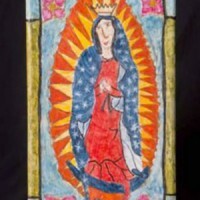 Along with traditional Native Art, traditional Spanish Colonial Art is one of New Mexico’s unique cultural treasures, revered and collected by the cognoscenti and by members of the general public all over the world. 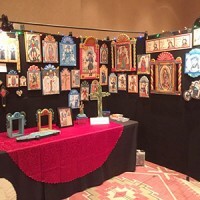 All traditional Spanish Colonial styles are represented, including bultos, weaving, ironwork, jewelry, hide painting, retablos, furniture, tinwork, straw appliqué and colcha embroidery. 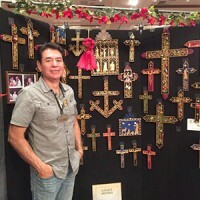 A special category for innovations within tradition, which will also be included, was introduced several years ago to allow artists and artisans an opportunity to think outside of the box and create works of art using non-traditional imagery and techniques. 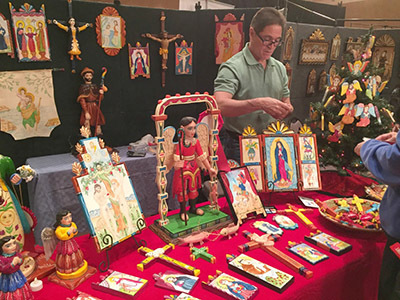 The Winter Spanish Market opens on Dec. 2 at 9 am and continues through 5 pm. 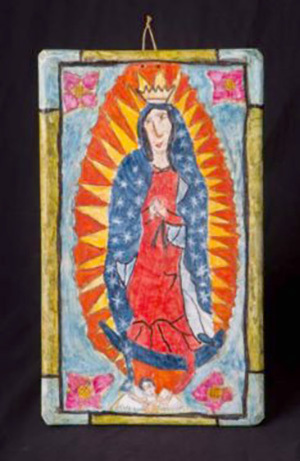 Enjoy the NHCC Museum’s opening of The Art of Christmas: New Mexico Style, featuring the Duran Family Christmas Tree with original ornaments by 125 New Mexican artists, many of whom are participating in the Winter Spanish Market. The market reopens on Dec. 3 at 9 am and will close at 4 pm. 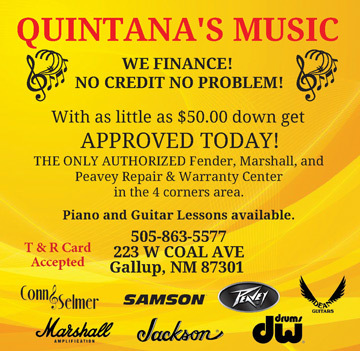 Throughout the market, there will be musicians and performers on stage entertaining the audience with New Mexican Folk music and dance. 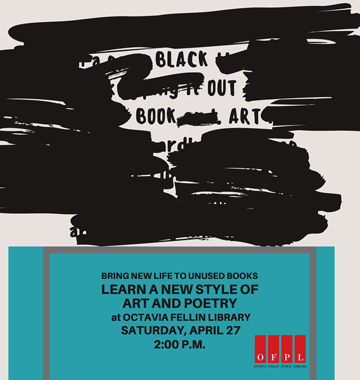 In addition, see the artist demonstrations, lectures and book signings and enjoy New Mexican cuisine at Pop Fizz and/or La Fonda del Bosque. Tickets for the weekend are $6 for an individual and $10 for two people. The market owes a great debt of gratitude to their partners at the NHCC for their help in putting on this year’s Winter Spanish Market. The market thanks its major sponsors: the County of Bernalillo; the City of Albuquerque; the Hispanic Heritage Committee; Hutton Broadcasting/SantaFe.com; KUNM 89.9; KRQE; KSWV 810; KANW 89.1 and the New Mexico Arts. 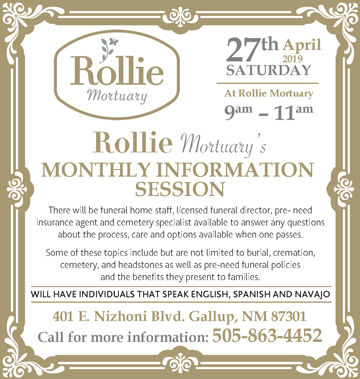 For further information or tickets, please call the Spanish Colonial Arts Society at (505) 982-2226, or go to spanishcolonial.org.